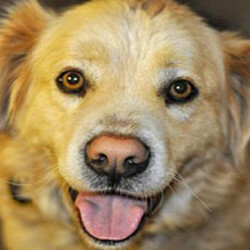 Maggie, a female, 50 lb., 2-3 year old Golden/Corgi mix, is a real affectionate gal! Hamilton is a King Charles Cavalier-Spaniel mix. 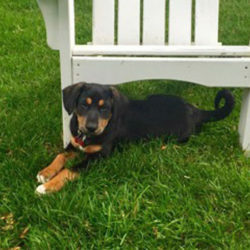 Comet is a 5 month old Bernese Mountain Dog mix. This handsome fella is the largest of his litter at 42 pounds. 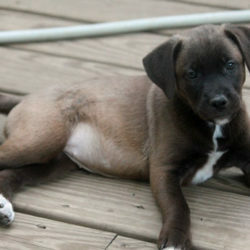 Sweet Venus, a 5 month old, 35 lb, female Lab mix, is perfectly named after the Venus in our magnificent solar system. 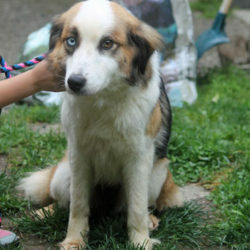 Terry, a male, 35 lb., 6 year old, Sheltie/Aussie mix is absolutely adorable. Brisko is a 2 year old, 24 lb. 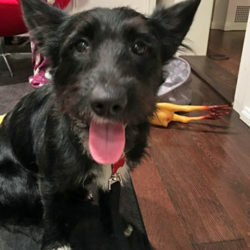 Scottish Terrier mix who is truly as cute as they come. Olive is a 4 1/2 month old Great Dane puppy mix. She has huge feet and will be very big! 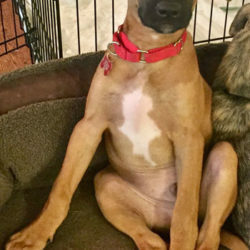 Precious and sweet Michelangelo is a 16 week old Rhodesian Ridgeback Mix, who will be approximately 60 lbs when full grown. 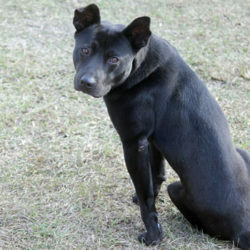 Jax is handsome 1.5 year old Black Lab mix with all of the perks of the breed in a perfectly compact 32 lb. package! Donatello is a 15 week old Rhodesian Ridgeback/ Coonhound mix and is currently 20 lbs of pure deliciousness. 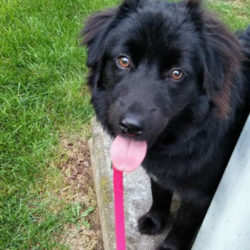 Olivia is an adorable 10 month old, 35 lb. 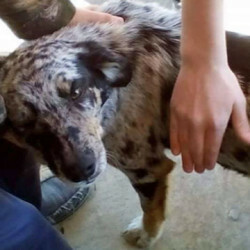 Cattle Dog mix. 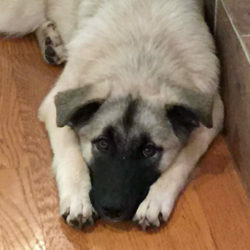 Zeus is a loving and furry 5 month old Anatolian Shepherd. Zoe is a precious 5 month old, 32 lb. 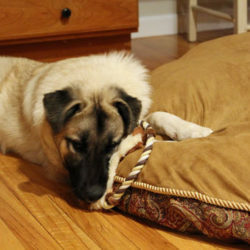 Anatolian Shepherd mix. 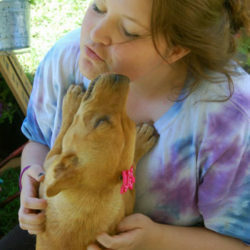 Kari, a.k.a Ladybug, is a 15 week old Rhodesian Ridgeback/ Coonhound mix. 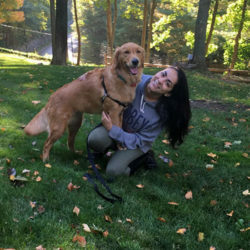 Ruby is a magnificent 11.5 month old purebred Golden Retriever. 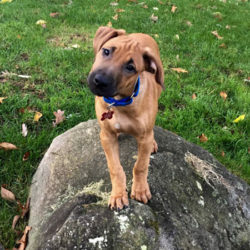 Leonardo is a 15 week old Rhodesian Ridgeback/Coonhound mix. Aster, one of Flower’s stunning Petals is as cute as they come. 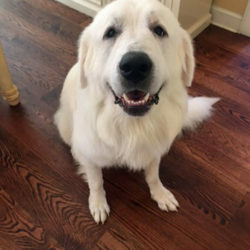 Titan is an absolutely wonderful 2 1/2 year old, male Great Pyrenees who is simply a giant dog with a giant heart! 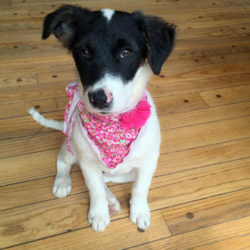 Molly is a 14 week old border collie mix. Magnolia is the most darling little puppy! Just like her momma, Flower, she is pure sweetness. Pansy, this darling little ray of sunshine was born 06/21/16 and is one of Flower’s (pictured on right) Petals. Dahlia, one of Flower’s Petals, born 06/2116 is a sweetheart. Lily, a stunning member of Flower’s Petals, is just the cutest little girl! 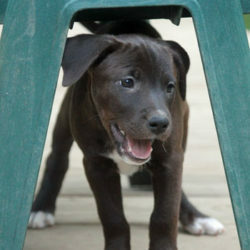 Clover, a most handsome baby boy, was born on 06/21 and is one of Flower’s irresistible Petals. 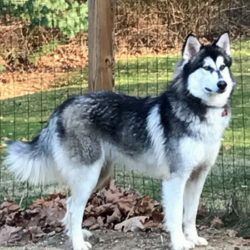 Flower is a stunning 3 year old, 48 lb. 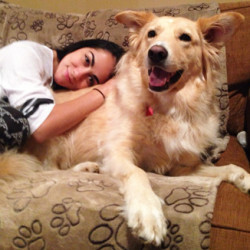 Golden Retriever/Belgian Tervuren mix. She gave birth to 8 stunning petals in June 2016. 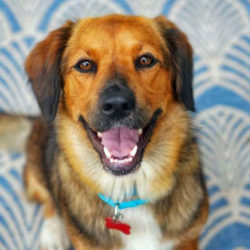 Wally is a very happy 4 year old , 35 lb Aussie Retriever mix. Mandy is a 10 month old, 30 lb. Spaniel Mix with the sweetest disposition. 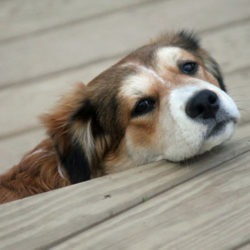 Winnie, a 2 year old, 30 lb., mini Shepherd/Sheltie mix, is SUPER sweet. Lindsey is a darling 3 year old, 37 lb. 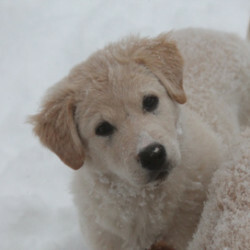 Yellow Lab mix. Gem is the cutest little 6 month old, 25 lb. Border Collie/Spaniel mix pup. Thelma is a precious 15 lb., 3 year old Cairn Terrier mix. 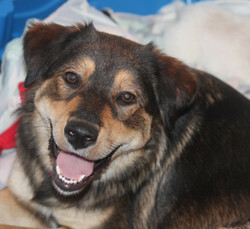 Jupiter, a handsome 3 year old, 50 lb.Collie/Shepherd mix who takes everything in stride. 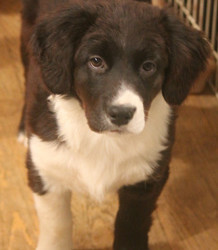 Rhett, (aka Sadie) about 16 weeks old, is an absolutely fabulous Spaniel mix. Wilson is a 10 month old, 40 lb. Shar Pei mix. Helen is a 7 year old Maltipoo and weighs about 8 lbs. 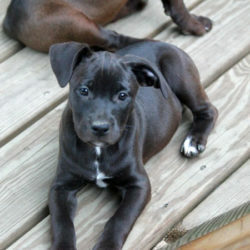 This dog is perfection!! 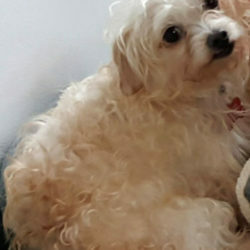 Hazel is 3 yr old Maltipoo and weighs 8 lbs. 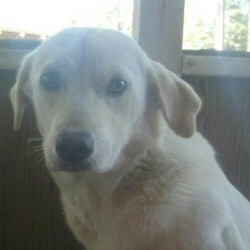 Binx is a handsome 55 lb., 1-2 year old Yellow Lab mix. 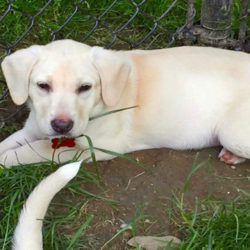 Rey is an adorable, sweet natured 14 week on yellow lab mix whose little tail never stops wagging with delight. 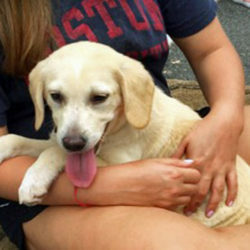 Friendly and intelligent Anakin is a 14 week old yellow lab mix. Handsome Beau is a 14 week old Spaniel mix who’s 20 pounds of deliciousness keeps his foster momma smiling from ear to ear. 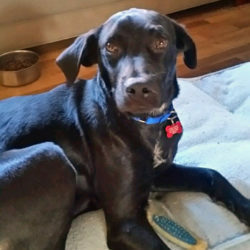 Jake is a stunning 35 lb., 10-12 month old Spaniel mix. 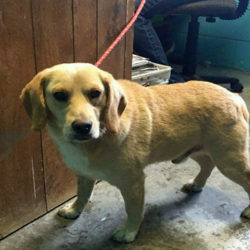 Perry is the most adorable 29 lb., 2 year old Yellow Lab mix…maybe mixed with some Beagle. 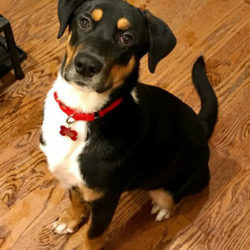 Tammy is a precious 25 lb., 11 month old Hound mix. Max is a unique 2 year old, 60 lb. Shepherd/Husky mix with stunning blue eyes. 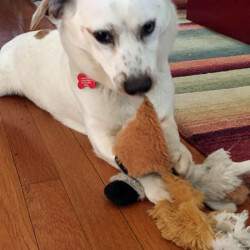 Padme is an independent, confident Yellow Lab mix. 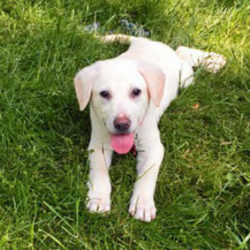 Luke is 12 week old Yellow Lab mix. 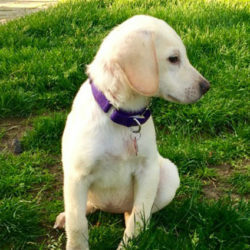 Introducing lovely Leia, a 12 week old Yellow Lab mix. 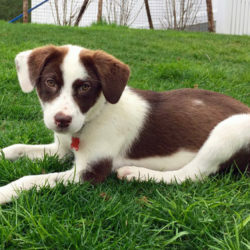 Beautiful Scarlett is a happy-go-lucky Spaniel mix puppy. 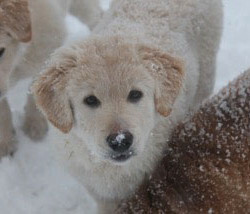 At 12 weeks old this petite girl weighs 9 lbs and we are estimating will only be approximately 20-25 lbs when full grown. 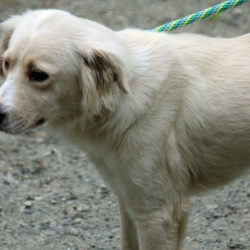 Gentle is a stunning 32 lb., 1.5-2 year old Golden Retriever/Spaniel mix. 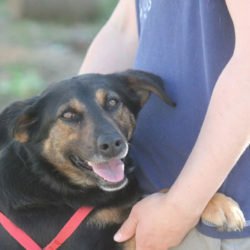 Katie is an adorable 3-4 year old, 35 lb. 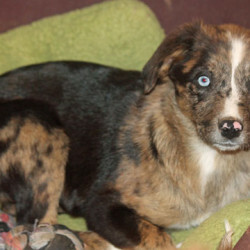 Australian Shepherd mix. 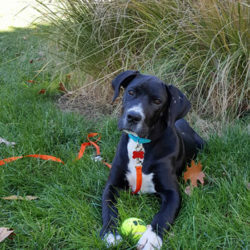 Oreo is a handsome 1.5 year old, 40 lb. 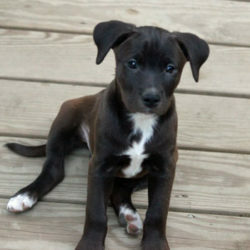 Pittie mix. Truvy is an adorable 1.5 year old, 22 lb. 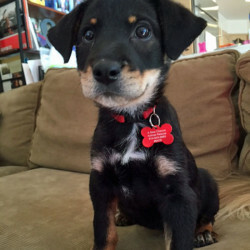 Doxie mix. 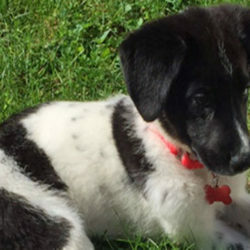 Phinn is a precious 14-15 week old Pointer/Border Collie mix. 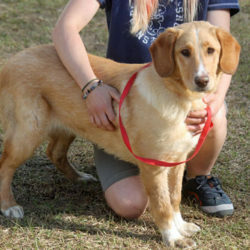 Anna is a stunning 30 lb., 2-3 year old Beagle/English Shepherd mix. Ginger is a gorgeous 7 month old, 30 lb. Chessie mix. 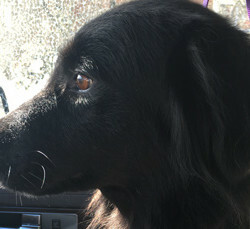 Brody is a gentle 50 lb., 3 year old Flat-Coated Retriever mix. 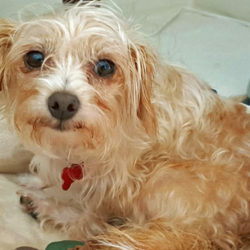 Kit is an adorable 1.5 year old, 12 lb. Chi/Pomeranian mix. 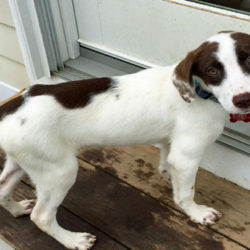 Piper is a gorgeous 5 month old Pointer/Retriever mix puppy. 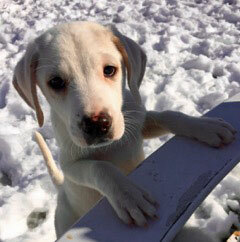 Pretty Paige is a tender hearted 12 week old, 15 lb., English Pointer Mix whose sweet, soulful eyes will melt your heart at first sight. 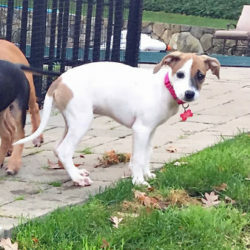 Beautiful Phoebe is a 12 week old, 15 lb., English Pointer Mix whose bubbly, energetic personality shines through from the moment you meet her. 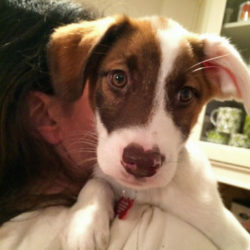 Paulie is the most adorable 12 week old Pointer Mix. 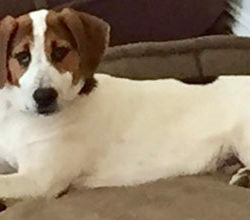 He has beautiful brown and white markings and is so soft to the touch. 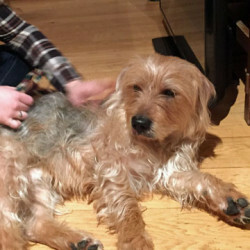 Bandit is an adorably scruffy 2-3 year old, 26 lb. mix. 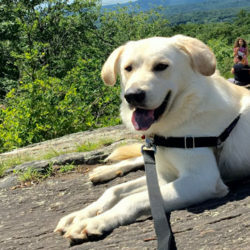 Blaze is a stunning 9 month old, 50 lb. 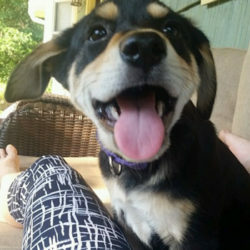 Lab/Golden/Basset Hound cutie! 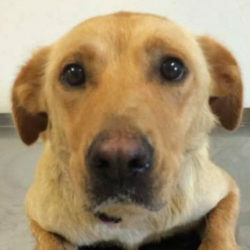 Lucky is a an amazing 3 year old, 60 lb., Yellow Lab mix. 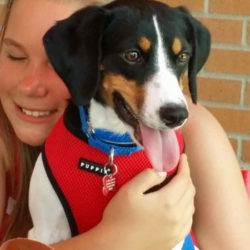 Jeffrey is a precious 4.5-5 month old Spaniel/Doxie mix. 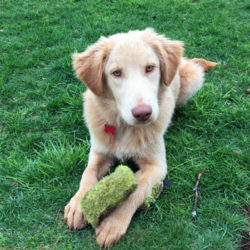 Quentin is a handsome 7 month old Golden Retriever mix puppy. 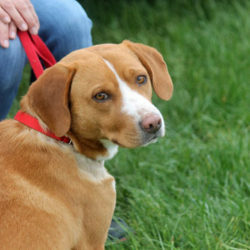 Manny is a sweet spirited Beagle, mixed with Pointer & Lab. Mollie is as sweet as they come. 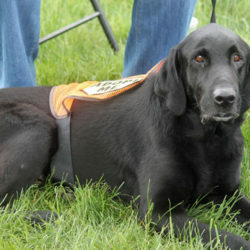 She has the adorable face and height of a black lab along with the lab temperament. 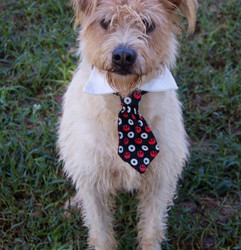 Buddy is a 3 years young, 16 pound schnauzer/dachshund mix. 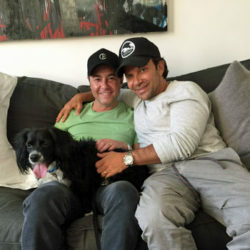 He is a serious love bug in an adorable compact package. Penny is a 11 week old, 10 lb. cutie. You won’t find a puppy more charming than Penny! 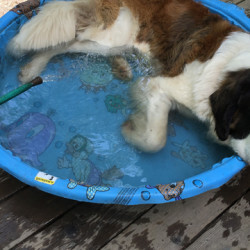 Grover, a 4 year old, 75 lb. Lab/Great Dane mix is a real sweetheart. 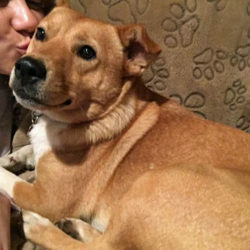 Tammy is the perfect dog. 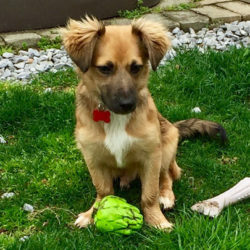 Loyal and loving, this 4 year old Corgi/Spaniel mix has the sweetest temperament and gets along well with adults, children and other dogs. TimmyJ is the cutest 1 year old, 28 lb. 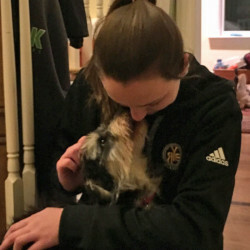 PBGV/Silky Terrier mix. Tampa is a precious 13 week old Golden mix puppy. 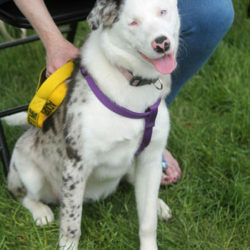 Lulu is a stunning Australian Shepherd. 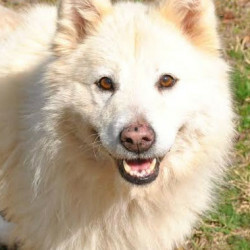 Cora is a stunning 7 year old Samoyed mix. 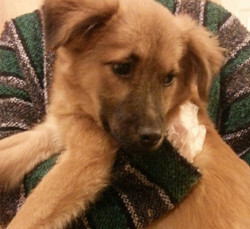 Tessa is a very special 4.5 month old Aussie mix. 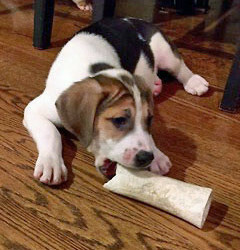 Chloe is an adorable, playful, happy-go-lucky 5 month old Lemon Hound/Beagle mix. 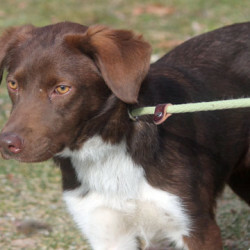 Alex is a handsome 9 month old Chocolate Lab/Spaniel mix. 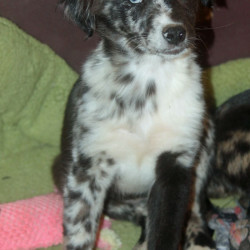 Trixie is a stunning Aussie/Catahoula Leopard Dog mix puppy. 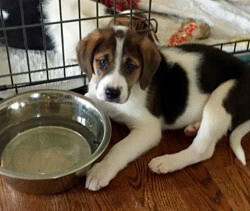 Toby is a ruggedly handsome 10-11 week old Aussie mix puppy. 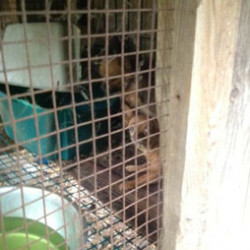 He has a gorgeous Golden coat with merle marking on his face. 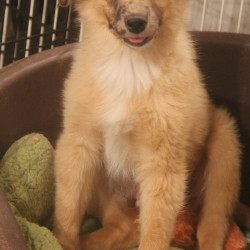 Tallahassee is a gorgeous 10-11 week old Aussie mix puppy. 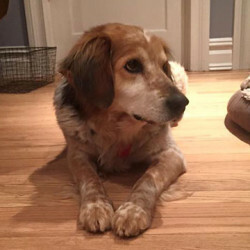 Rusty is an 8 year old Aussie mix who is mellow and a real darling. 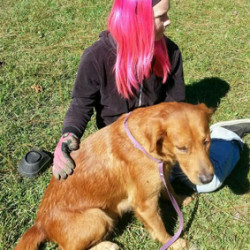 Oscar is a 3 year old, 60 lb, Golden Retriever mix. 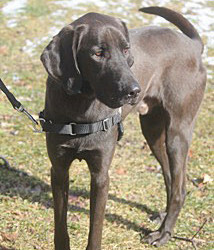 Bailey, formerly Blue because of his stunning bluish-gray coat, is a 3 year old Great Dane mix. He’s 70 lbs. and very tall and lean with droopy Hound-type ears. 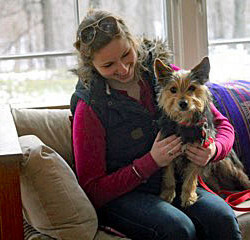 Gordon, a handsome 2 year old Yorkie/Cairn Terrier mix is as cute as they come! 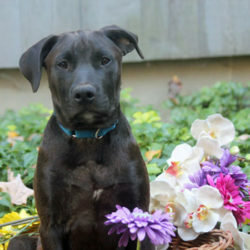 Chaplin, a.k.a Chappie, is a 12 week old Hound/Lab mix. At almost 20 lbs we estimate this handsome fella will be 40-50 lbs when full grown. 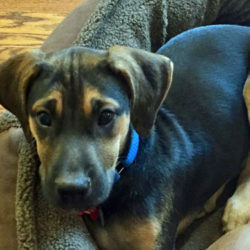 Cooper the cuddle bug is a 12 week old Hound/Lab mix. This sweet guy is currently 18lbs and will be approximately 50lbs when full grown. 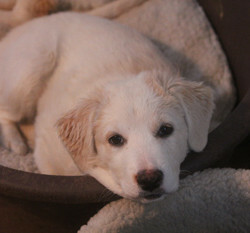 Matty, a 13 week old Aussie/Retriever mix, is more than just a pretty face. He is an active boy who loves physical and mental stimulation. 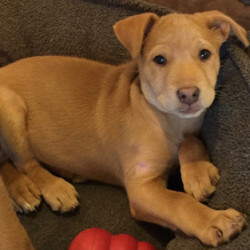 Cody, one of Cindy Lou’s puppies, is an adorable 9 week old Lemon Hound/Lab mix. 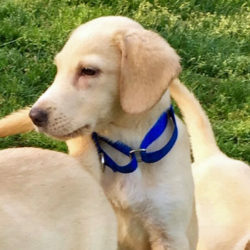 Carl is a 12 week old lemon Hound/Lab mix who is already melting the hearts of everyone he meets. 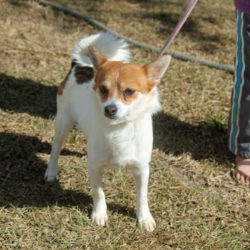 CiCi is a 6yr old purebred 6lb long haired Chihuahua. 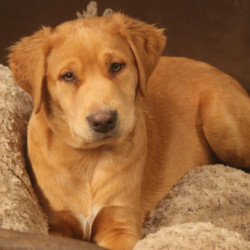 Quincy is a handsome Golden Retriever mix puppy. 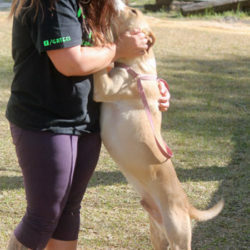 Oneida is a gorgeous 9 month old Golden Retriever/Lab mix. 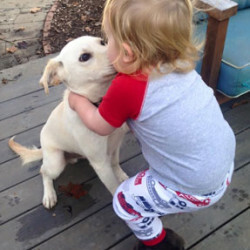 Olive is a precious 9 month old Yellow Lab mix. This stunning girl is a real doll, though she is shy in new situations. 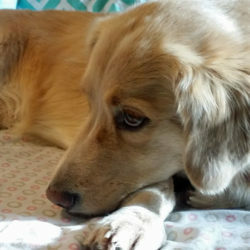 Nelly is a gorgeous 2-3 year old Golden Retriever mix, who has spent much of her life wandering the streets as a stray. 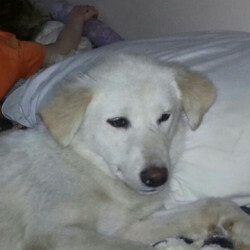 Izzy is an angelic 4-5 year old, 50 lb. 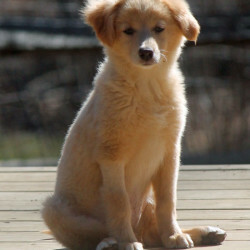 Golden Retriever mix. 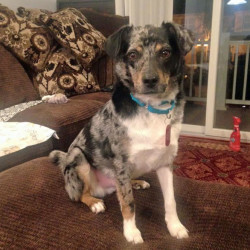 Charlie, a very special boy, is a 30lb Catahoula Leopard Dog/Aussie mix. 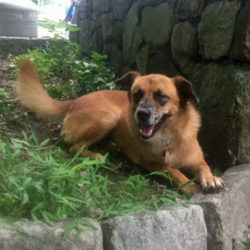 Moby is a gorgeous 5-6 year old Shepherd/Collie mix. This 55 lb. 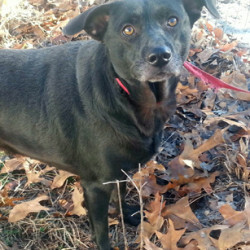 cutie is a mellow girl and enjoys spending time with her people. 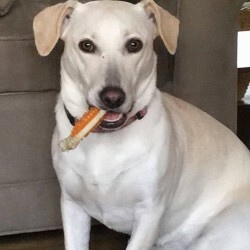 Cindy Lou is a gorgeous 3 year old Lemon Hound/Lab mix. 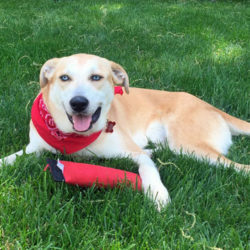 Lucky is a stunning 3 year old Lab mix. This 55 lb. 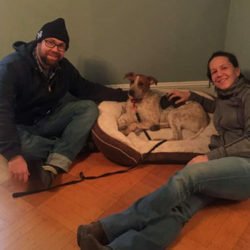 girl is best described as laid back, friendly, and sweet as sugar. 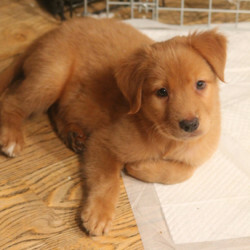 Mia is a darling 10 week old Aussie/Retriever mix. She looks a bit like a Border Collie with her fluffy black and white coat, and she has natural red highlights every woman dreams of. 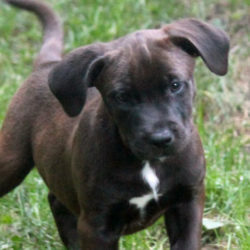 Madonna, like her namesake, is a spitfire! 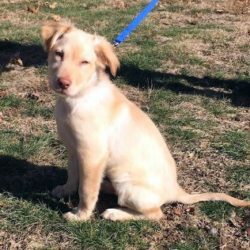 This 10 week old Aussie/Retriever mix is not only breathtakingly beautiful, but she has the charm to go along with her looks. 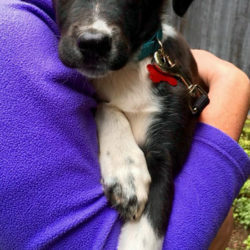 McCauley is a fabulous 13 week old Aussie/Retriever mix. 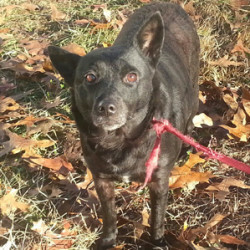 Diana is an adorable 3 year old Schipperke/Lab mix. Milton is a precious 17 week old, 32 lb., Aussie/Retriever mix. 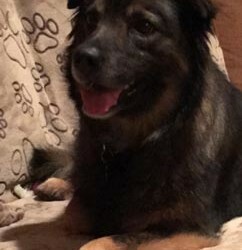 Mellie is a stunning 2 year old Aussie/Shepherd mix. 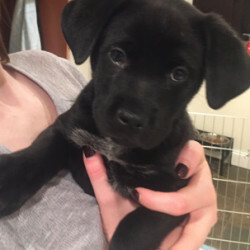 Lance is a 16 week old Black Lab mix who is ready for his furever home. 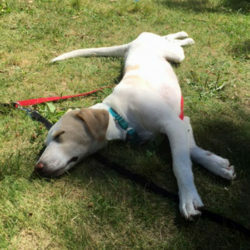 Odie is a fabulous 7 month old Yellow Lab mix. 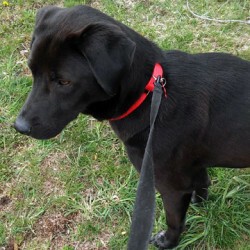 Marlee is an adorable 14 month old Lab/Bassett Hound mix. 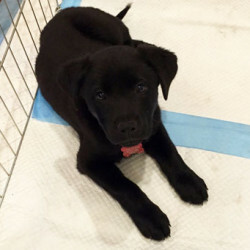 Handsome Lincoln is a 9 week old black lab mix who is just pure sweetness. Bonjour from Monsieur Lexington, as his foster mom affectionately calls him. 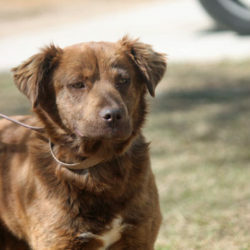 Todd is a ravishing 2 year old, 40 lb. 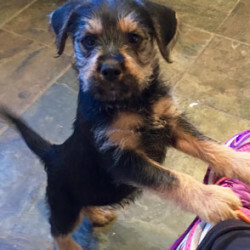 Terrier mix. 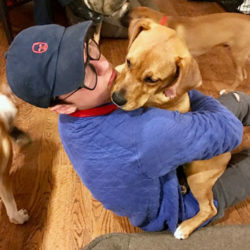 This fabulous boy loves everyone he meets: dogs, cats, and kids! 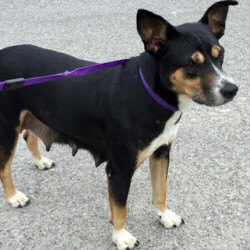 Leia, or as her foster mom lovingly calls her Princess Leia, is a 2 year old Mini Pinscher mix who is as beautiful on the outside as she is on the inside. 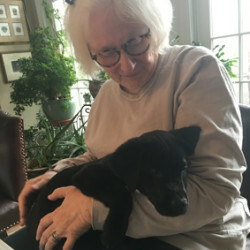 Lottie is a 7 week old Black Lab/Beagle mix. She is a very smart little girl who loves to search and discover all the nooks and crannies of her puppy nursery. 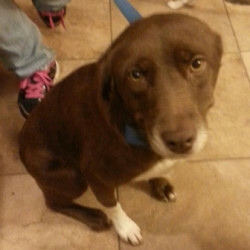 Carly is a precious 2-3 year old Chocolate Lab mix. JJ is short for Jazzy Junior because she looks almost identical to an ANCAR alum from a few years ago named Jazzy. 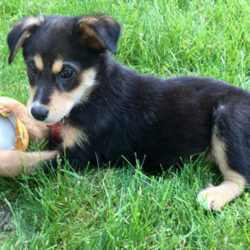 She is the cutest 6 month old Shepherd/Sheltie mix. 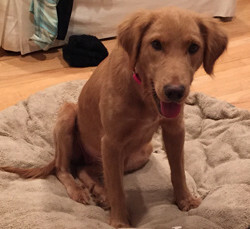 Nash is a 16 week old, 25 lb., Golden Retriever mix. 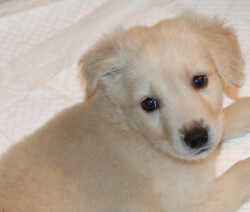 Nate is the cutest 9 week old Golden Retriever mix puppy. 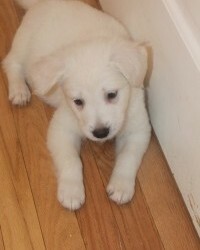 Noah, an adorable 8 lb., 9 week old, Golden Retriever mix puppy. Mollie has all the perks of a true Lab but in a compact 35 lb. package. 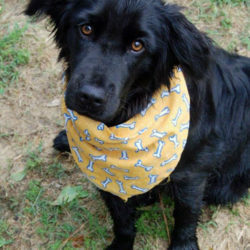 Licorice is a gorgeous 45 lb., 3-4 year old, Flat-Coated Retriever/Border Collie mix. 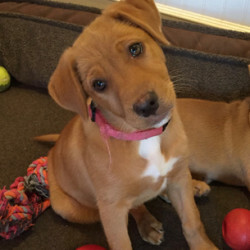 Nessie is a 9 week old Golden Retriever mix. She is 12 lbs of absolute deliciousness. Nala is a 9 week old Golden Retriever mix. 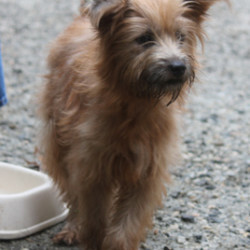 Brie is a scruffy 15 lb., 2 year old Terrier/Lhasa Apso mix. Xena, a 17 lb, 2 year old Norwegian Lundehund mix is a real pretty girl. 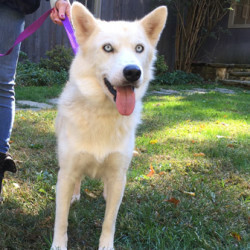 Bella is a gorgeous 3-4 year old, 45 lb., Husky mix. With her striking blue eyes, this girl is sure to catch everyone’s eye! 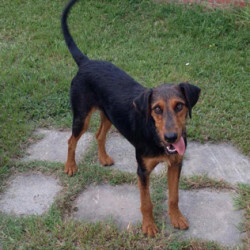 Elsa, an adorable 2 year old Airedale mix is a goofy girl. 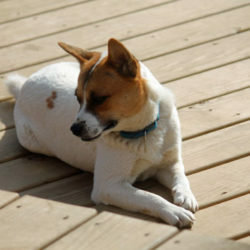 Layla is a 15 month old cutie looks to us like she might be a mix of Basenji. Remington, a male, one year old, 124 lb.pure bred St. Bernard who is not yet done growing is a real lovable and goofy guy. Reeses, a male, 4 year old, 25 lb. 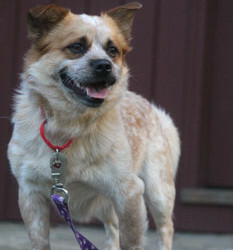 love has the beautiful coloring of a Red Heeler, (without the size), and the face of a Pekinese. 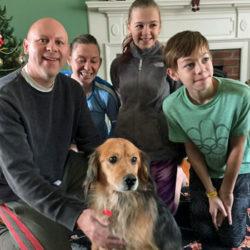 Hudson, a 75 lb., 4.5 year old Belgian Tervuren mix is an absolutely drop dead gorgeous dog who hungers for a forever home; this guy is a real people dog and is simply thrilled to see you when you arrive home. 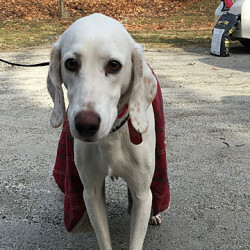 Minnie, a 55 lb., 1 1/2 year old, female white Retriever/Kuvasz mix, with a striking face and big furry tail, is as sweet as her name implies.